Man, am I terrified about seeing Kei Igawa pitching in the majors again. Terrified and yet, I can't not look. Like a horrible car wreck. 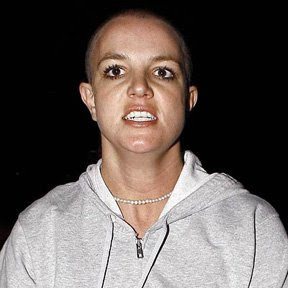 Or when Britney Spears shaves her head and attacks reporters. it's a train wreck, but you must look. You must. Ian Kennedy said he was a little surprised about the demotion to AAA. Really, Ian? Really? Look, I think you could have a great career as an artiste type pitcher—like Mike Mussina—but dude. Your ERA was north of 8.00. Surprise? Not really. Nobody could have had a dry eye watching that filly, Eight Belles, get euthanized at the Kentucky Derby on Saturday. But this nonsense (and predictible nonsense it is) from PETA calling for the immediate suspension of the jockey, because they say, they the horse was "doubtlessly injured before the finish." "I don't know how in the heck they can even come close to saying that," Eight Belles trainer Larry Jones told The Associated Press on Sunday. "She has her ears up, clearly galloping out." Then Jones, truly choked up with emotion said this: “It was a quarter-mile after the race. (Breakdowns) just don’t happen there. There’s always a reason things happen, but right now I see no reason for this. She ran the race of her life; she put it out there.” The man was broke by what happened after the race. It's truly tragic, what happened. But to needlessly blame somebody for this would compound the tragedy. No one treated the horse poorly. No one was at fault. Let it go. Watching King Felix Hernandez pitch the other day showed me a couple things. A: the guy has absolutely filthy stuff, and B: He doesn't know how to pitch yet. He's better than he was last year, but he's still too emotional, loses composure and doesn't adjust well enough yet. But he's not far away. He can be sick for a very very long time. Ridiculously early NFL pick. Buffalo. The draft, the Stroud signing, a year under the belt for Edwards and Lynch. And Poslusny back. Yeah...Buffalo. 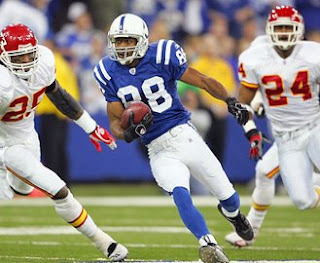 And finally...out of all the wackjob egomaniacal wide receivers out there—Chad Johnson, Randy Moss, Terrell Owens amongst others—who the hell thought we'd have a problem with Marvin Harrison? Marvin? WTF?